I love fishing. My Dad used to take me out all the time down in South Florida. Now that I’m a Mom, I still love to fish and as a single parent to my little BOY, I get to share the fun with him. We booked with Captain Jesse and Gulf Life Charters because he was recommended to me by family member. 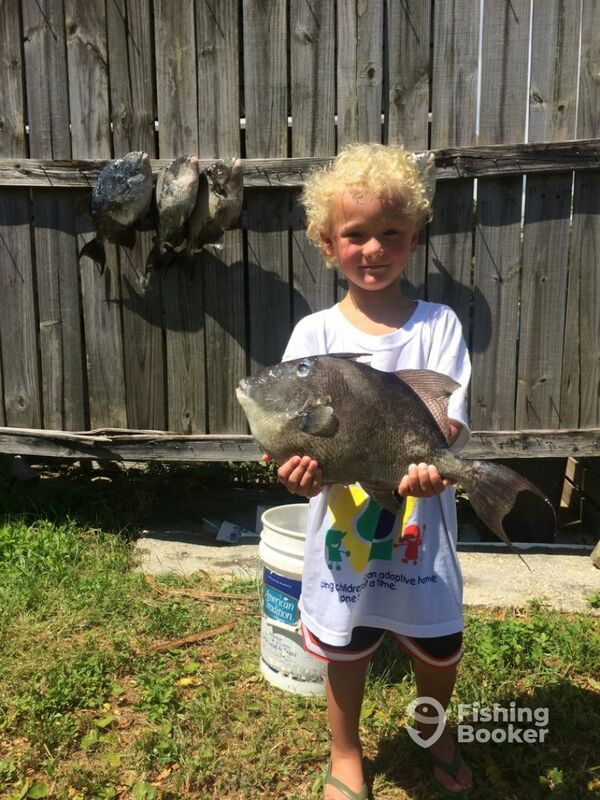 Other charters I called said that my son was too young and the trip could be too much. So when I called Captain Jesse, he explained that my son would have to wear a life vest (of course) and that we would play the trip by ear and if at any point I felt uncomfortable that we could turn back in. Well, the trip was AWESOME! Captain Jesse was SO patient and so kind. He was funny and attentive. He really took the time to teach my son about the different aspects of fishing, explaining all of the terms and my son was loving the adventure. Of course I did most of the fishing but my son did get to pull in some live bait on the live bait rigs that we stopped at on the way out. He even stopped for us on the way back into shore so he could pull in a few more bait fish. At one point Captain Jesse had to help him because 4 fish got hooked at 1 time! Now my son won’t stop talking about going fishing on the big boat again with Captain Jesse. I have always enjoyed bottom fishing so that is the particular trip that I requested. We caught Triggerfish, Red Snapper (but they weren’t in season), a grouper, we got our limit of Triggerfish and I even got to fight a shark for nearly 30 minutes and he broke the line when he got to the surface. Oh and we saw dolphins. It was so cool because they were jumping all around us. I normally have to pay like $40 for us to go to the Gulfarium and we got a dolphin show for free. My son loved that. All in all, I would recommend Gulf Life Charters and Captain Jesse to any and everyone. It was abundantly clear that he knew exactly what he was doing. Even when my son was acting like a 4 year old, he stayed calm and even goofed around with my son cheering him up. The boat had free bottled water which was great because I only packed a few drinks and snacks for my son. It also had a bathroom and that feature was GREAT because growing up my Dad’s boat only had a bucket for me to use and as a teenage girl that wasn’t always the best experience. Captain Jesse, THANK YOU for the great experience!!! We will definitely want to go fishing with you again soon. I appreciate all the effort and time you took with us. You were the very best!!! Had a great time fishing with you both too! Happy take take you out anytime. Your little man was a quick learner! Come on out for Snapper Season! We’d love to have you! Captain Jesse knows how to fish! Last Snapper season I came in to town with a couple buddies as I’ve known Capt Jesse since high school. In fact, he used to out fish me even back then. But when an opportunity for work came up in my ole’ buddy’s area, he mentioned he could take us offshore fishing. It was a blast. My crew had the best time. Capt Jesse really showed us what the Pensacola fishing area has to offer. We slayed the Mahi while doing a bit of trolling out to the snapper holes. We also landed a huge Bonita that we all had an opportunity to fight. It was like the smaller and faster version of Wicked Tuna. That adrenaline really gets you going. We hooked up to a Wahoo but he pulled the hook right as we were bringing him up to the boat. By the time we made it out to the snapper holes, we already had some quality meat in the box. 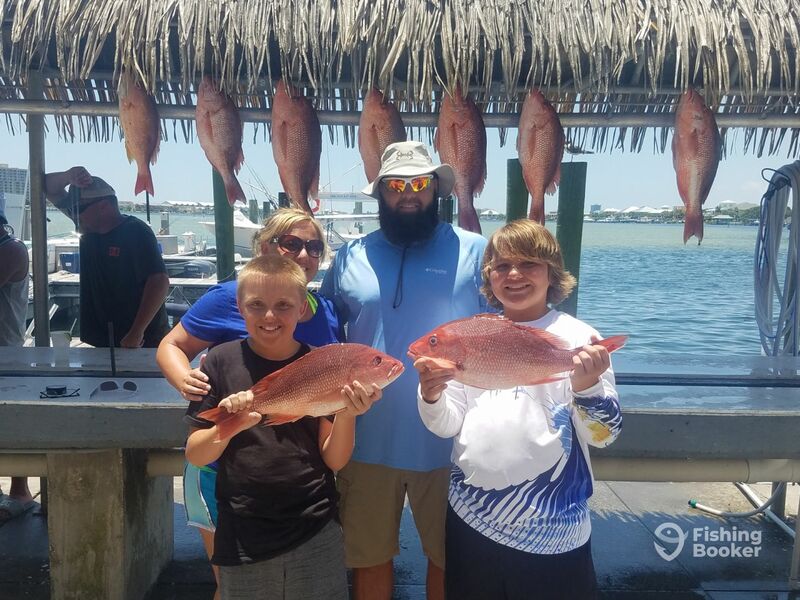 We had a blast limiting out on snapper using hard tails and grunts as bait that we caught right outside Pensacola pass. The bigger bait was hooking the bigger fish. Buddy of mine was using squid and caught a couple undersized trigger and then pulled out one of the biggest one Captain Jesse had seen. It was a sea monster. We were out there most of the day and the tides started to turn so we rode in. We were on a different boat than he’s got now but it was well maintained and he knew how to Captain it like a pro. He showed us a great time that we still talk about today. Now that he’s official we are trying to get up in the next couple months to do it over again. 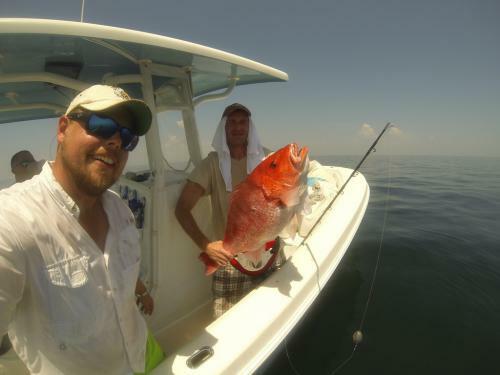 Book with Captain Jesse at Gulf Life Charters and you are bound to have a great time. He is laid back but takes fishing serious and does everything he can to ensure that you catch fish. We each got to take home about 20 pounds of fish. Matter of fact, my wife just cooked the last of it the other night. Looks like a good excuse to head on up to Pensacola. Thanks Man. You done good. Captain Jessie can only be described as incredible. He took us out to the fishing grounds and we caught more fish than we could take home. My favorite fish was the 60 pound cobia I caught. I highly recommend Jesse and Gulf Life Charters to everyone! Thanks Mike! I appreciate your business. That Cobia was something else, wasn’t it? Hopefully I’m able to take you out again the next time you are in the area. Thanks for choosing Gulf Life Charters. 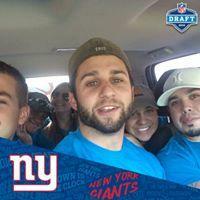 Great trip, couldn’t have asked for a better time. Caught a ton of fish and had a great experience! Thx Captain Jessie and Chris. Thanks for coming out with us today! Your family was an absolute blast to have on board! Coby and Caleb really slayed the fish today. Hope you will come out and fish with us again soon! Everyone said that the fish we caught were the biggest triggers they have ever seen. They were pretty huge! There’s a good chance you’ll never reel in another monster like you did - hooked right between his teeth! Incredible catch!